Gould, John. 1844. 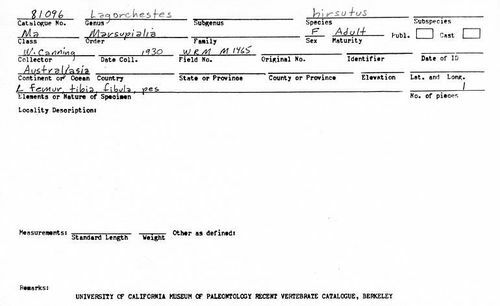 Descriptions of three new species of Halmaturus and Lagorchestes. Proceedings of the Zoological Society of London 1844: 31-33.